Liberal dems are panicking. The tables are turning and the shoe is on the other foot now. In 2016 Trump claimed he was being spied on and his phones were tapped. 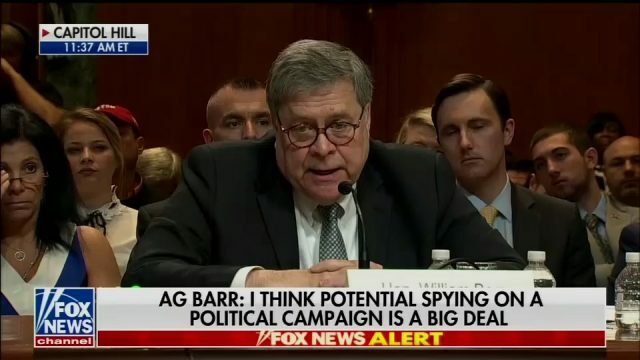 Everyone laughed at him, but now Attorney General Barr’s report says he was being spied on and the Dems are going nuts and completely unhinged. First they lost the election and that set them off, then when Mueller was investigating Trump they were frothing at the mouth, but when he said there was no collusion after two years and 30 million dollars later they freaked out again, now Barr is proving Trump right and he was being spied on and now they are in full panic and completely off the wall. Dems are asking Barr to retract his remarks. Nancy Pelosi is saying he should not be the attorney general. Pundits are saying he should be impeached and calling him a conspiracy theorist when it is they who are the tin foil hat conspiracy theorists. They are accusing him of being Trump’s attorney and not the attorney of the American people. If they are so innocent then why are they panicking so much? As Shakespeare might say, “Methinks they doth protest too much.” The media lies to the American people and are so blinded by their hate and rage for Trump they can’t see the truth right in front of them. Attorney General William Barr has put together a team which will look at decisions the FBI made in 2016 when it started an investigation of then-candidate Donald Trump. Barr confirmed the investigation during House testimony. In a tweet late Wednesday, Trump personal lawyer Rudy Giuliani condemned Nadler’s “diarrhea of the mouth,” and referenced a report last year that Nadler was overheard on a train discussing his plans to impeach the president. “His lack of judiciousness was evident when he was overheard on Amtrak prematurely planning impeachment,” Giuliani wrote. Congressman Devin Nunes is sending 8 criminal probes to the Attorney General for potential violations in the Russia probe. Speaking on Sean Hannity’s show Nunes said the probes are based on lying to investigators by reporters, obstruction of an investigation, conspiring to manipulate an investigation and FISA abuse. 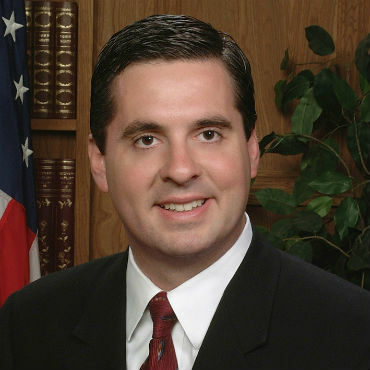 Nunes said he has been working on the referrals for more than two years, and wanted to wait until the confirmation of Attorney General Bill Barr. Nunes went on to explain that back in late 2015 and early 2016 spying began on the Trump campaign. That led to what we know as legal spying. They then tried to create the false narrative that Trump was a Russian agent and should not be president.. You then had the FBI head Comey spying on the president, taking notes, leaking those notes so they could appoint a special counsel to go after the president. “There was a lot of spying and a lot of leaking,” Nunes said. At first, you had Comey saying Hillary should be charged then Loretta Lynch told him to change it from an investigation to “a matter.” He then changed the accusation from “gross negligence” to extreme carelessness.” And had FBI agent Peter Strzok write her exoneration before the investigation so Hillary could not be charged with obstruction by destroying subpoenaed documents. Peter Strzok is the FBI official who opened the investigation into the Trump campaign in 2016. Strzok was fired last year after an inappropriate relationship with a colleague, Lisa Page, was discovered along with questions about Trump bias. What Barr will find, is corruption at the highest levels of the Obama regime. It is starting already with former Obama aid and attorney Greg Craig indicted in charges elated to the Mueller probe. A federal grand jury on Thursday indicted Greg Craig, a prominent Democratic attorney who worked for two presidents, charging him with making false statements and concealing material information in connection with work he performed for Ukraine in a case stemming from special counsel Robert Mueller’s investigation. Think of the irony if the very thing the deep state used to try and frame the Trump campaign with turns out to be the very thing that puts the major players behind bars? I hate seeing what is happening to our once beloved country. Trump is trying his damnedest to get us back to normal,but I think it is virtually impossible. It is like a canoe going against Niagara Falls. The Democrat party have been acting like domestic terrorist…especially over the past 50 years…they have ruined every city that they have controlled..Chicago..Detroit..San Francisco..Seattle..and have enslaved blacks and Hispanics into being victims with false promises just to get their votes..and the Democrats have become anti christain..anti Jewish..anti Israel..pro abortion ..open borders zealots..while defacing the Constitution..and turning the United States into a 3rd world of political corruption…selling the American people down the drain where sanctuary cities and free education for illegals have become more important than the needs of the American people and where political left wing indoctrination of our schools have taken over our schools where the need to push transgenderism and Islam onto our children has replaced the pledge of alliengence and American history where our children gave been dumbed down where the children of China will soon be out smarting the rest of the world in science and technology and overtake the United States as the world’s foremost super power….all because of the Democrat party and it’s support of a new world order. You need to grow up, Randy. The Deep State is 3 tiered. The Deep State is foundationally “International”. They are individuals so “Giant” that they could be called Niphilim (giants in the land). George Soros is a minor example; the biggies are unknown to us. The next level is the Council on Foreign Relation made up of leftist New World Order global Communist who have been at work destroying our Sovereignty since 1921! Think NOT? Then note how happy Hillary Clinton was when they opened up an office in D.C. so she could just “walk down the Street” to get her marching orders instead of going to NYC. The CFR OWNS all of the main stream media (owners such as Rupert Murdock – FoxNews) are hard line “progressives”. Note how all of the M.S.M. tells the same lies at the same time – even Fox News that keeps conservatives in the “game” by being the lone voice of opposition – “controlled” opposition – as a tool to further divide us! And then there is the Deep State Jim is talking about. This is the battalion – the actual on the ground Unit that carries out the orders! Some call me cynic for believing people do what they can get away with. There is something loathsome about politics We have many men and women of high integrity serving at all levels of government. I’ve visited the DC offices of all (at the time) persons representing citizens of the Los Angeles 5-county region. Some of those elected were intelligent, others inept morons. I believe those persons in the intelligence community spying (yes, spying) on Trump and people close to him did not do so without some political cover. 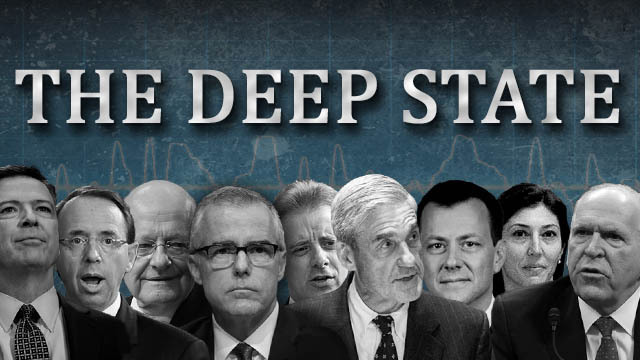 There is no Deep State. Just some conciencious members of the intelligence community were saw trump was surrounding himself with people on the Russian payroll, while Russia was helping get trump elected. Then trump praised Putin while attacking the media. Sort of acting like Putin’s had something on him. Great article Jim. Finally the tables have turned. I used to live in Essex County. I graduated from St. Peter’s Preparatory School in Jersey City. HERE’S A POSSIBLE STORY IDEA. IN 2010, IT’S 100TH ANNIVERSARY YEAR, HOLY NAME OF JESUS SCHOOL IN EAST ORANGE, N.J. WAS TAKEN OVER BY BLACKS AND RENAMED JOHNNIE COCHRAN SCHOOL. THEY ARE AT THE BOTTOM NOW OF N.j. EDUCATION SYSTEM WHICH RANKS LOW NATIONALLY. ONCE A GRAFFITI FREE, OBSCENITY FREE, OBESITY FREE LOVELY PLACE, i CAN ONLY IMAGINE WHAT IT LOOKS LIKE NOW AND DARE NOT RETURN. I BELIEVE THIS IS A MICROCASM OF WHAT IS GOING ON NATIONWIDE.